One of my goals this year is to write more about the school-age programs I deliver at my library. 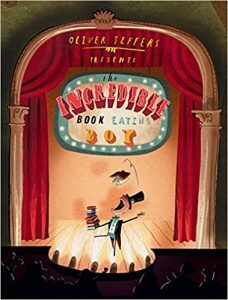 A favourite of mine is the Early Readers Book Club aimed at kids in grades K – 2. I love this program because it supports the emerging literacy of kids who have graduated from storytime and are being introduced to more formal “learn-to-read” techniques in school. This program does not teach kids to read. This program is meant to introduce kids to awesome books for emerging readers, to get them excited about books and reading, and to help them develop social skills through interacting with their peers. Another goal is to connect them to an adult in their community (me!) with whom they have a positive, supportive relationship. Here’s how I run the program. Firstly, this program is registration based and I take about 12 kids at a time. We meet once a month after school. My library system has special book club sets I can use which come with non-circulating copies of the book. When kids arrive their book is waiting for them in a circle formation where we all take a seat. I do a quick icebreaker activity where I pass out an M&M to each kid. Then I ask a different question based on the colour and kids respond according to the one they got. They also introduce themselves (every single month!). Next we spend about 10 minutes “investigating” the book. What is on the cover? Who is the author? Who is the illustrator? How long is the book? What could this book be about? Then we either read all, most, or part of the book depending on how long it is. The goal here is to introduce them to the main characters and get them excited to take the book home to read. After that we jump into the activities. This usually involves some sort of craft or game. Not all kids are able to write so I don’t choose writing heavy options (like making a poem or writing a story). We do draw though. I keep this part pretty informal. We all gather around a group of tables and help each other and talk while we play. I try hard to encourage them to ask each other for help before coming to me and it’s so rewarding when they start doing it on their own! Here are some of the books I’ve featured and the activities I did for each. Who doesn’t love Chester? To inspire the kids to get creative in their own storytelling, I passed out discarded picture books and red markers. 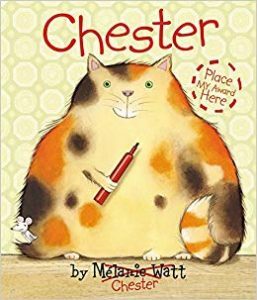 Then we spent time “decorating” the books just like Chester. They loved this activity! We ended by playing Pin the Award on Chester. To begin the activity I placed different types of books around the room – dictionaries, atlases, chapter books, graphic novels, information books, phone books, joke books, etc. To get the kids moving a bit, I had them each go to one of the books and see if they could figure out which type it is. Then we rotated in a circle until everyone had seen them all. We discussed the similarities between books and which ones we’d eat if we were like Henry. Afterwards we created our own plate of food using paper plates and images the kids cut out from discarded cookbooks. Each person got to present their ideal meal for brain power. The book club set we have has copies of different titles in the series so kids can pick which one they want to read. 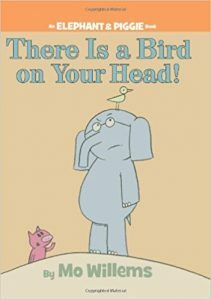 I read “There is a Bird on Your Head” to the whole group. Then we made Elephant and Piggie paper bag puppets and acted out the story again in pairs. There are so many Elephant and Piggie ideas out there – check out my Book Character Parties Round-Up post for a huge list. 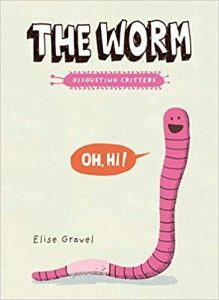 Step 1: Teach kids the Herman the Worm song. Step 2: Convince them to stop singing it (harder than you think!) Step 3: Make our own disgusting electric critters. 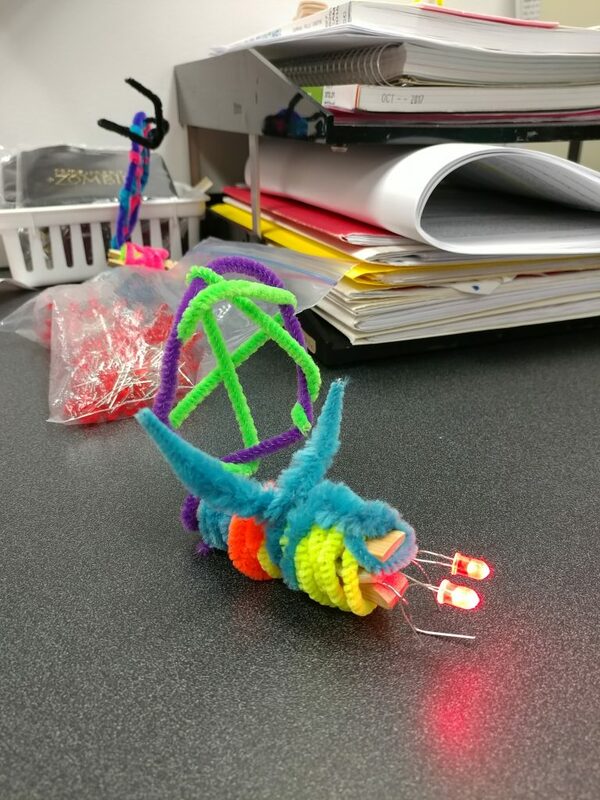 Using a clothespin, a lithium battery, 2 LED lights, a paperclip, electrical tape, pipe cleaners, and scissors I walked the kids through how to create a circuit which lights up their critters’ “eyes.” Then we decorated them with pipe cleaners. 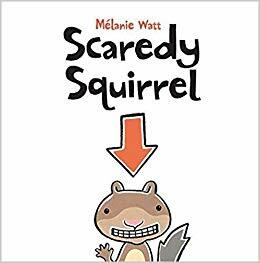 We read about the first 15 pages of this one by our fellow British Columbian and take note of the structure and sound effects. 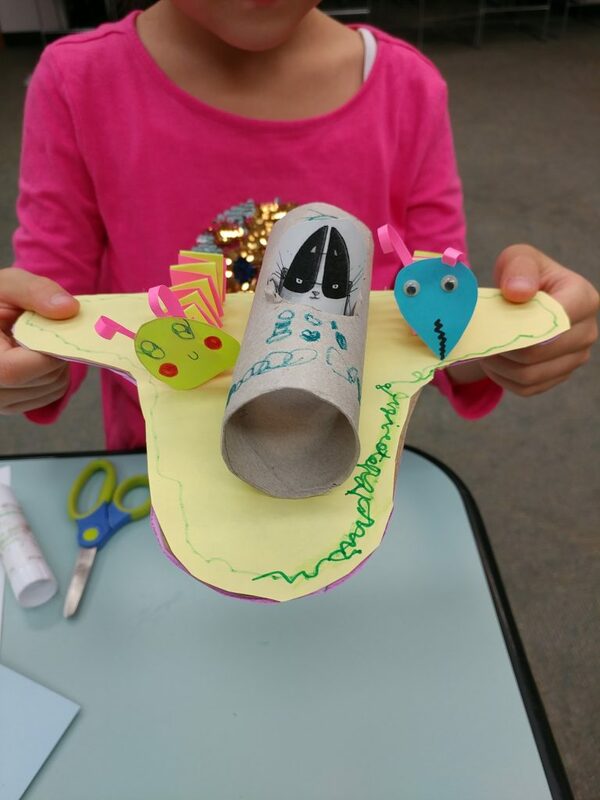 Then I walk kids through how to make their own paper aliens (aka ants). 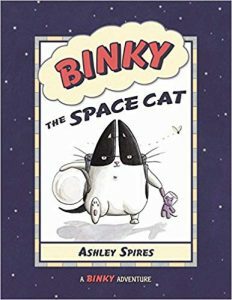 Next we designed spaceships for Binky to blast off in. I traced a basic shape of recycled cracker boxes and cut out holes on paper towel rolls to make the parts. Then I printed pictures of Binky on cardstock so kids could put him in the driver’s seat. Kids get to choose which of the books in this series to take home. 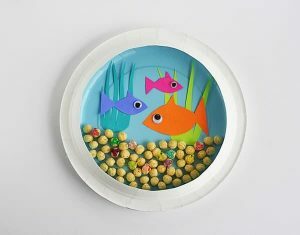 I read them the scene about the goldfish and then we make our own paper plate aquariums filled with cracker goldfish, plus extras for snacking. All you need for this are paper plates, construction paper, plastic ziplock bags, and colouring utensils. As we worked we talked about what would live in our aquariums and kids got super creative with names and backstories of all their goldfish. 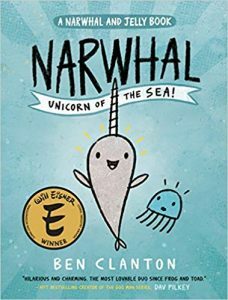 After reading part of this graphic novel, I split the kids into two teams: Team Narwhal and Team Jelly. Then we plated a trivia game where I asked them true or false questions about these sea creatures. Afterwards we created our graphic novels using “miximals,” something I saw on Clanton’s blog. I had each kids draw two pieces of paper from a bag. Each piece of paper had the name of an animal on it. 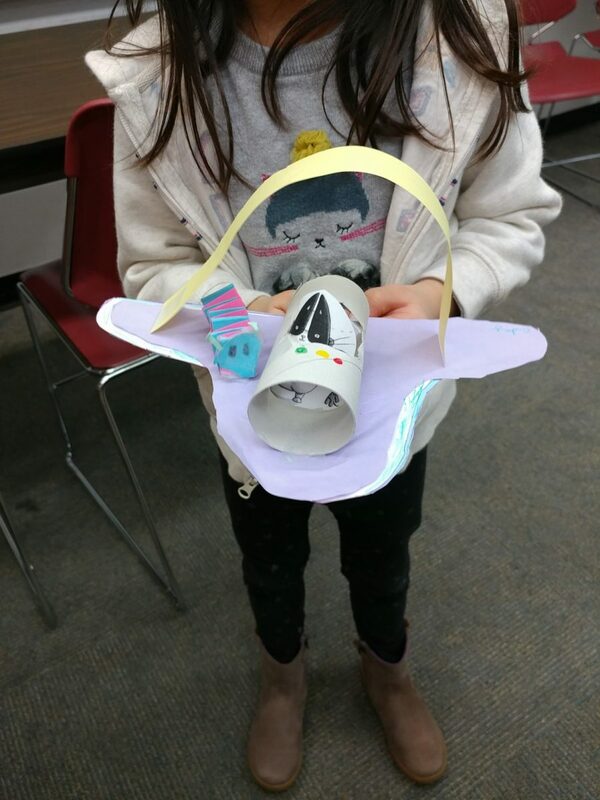 Then I used the Narwhal and Jelly graphic novel template and kids created a story by combining their two animals. This activity requires the most amount of writing so I saved it for later in the year. 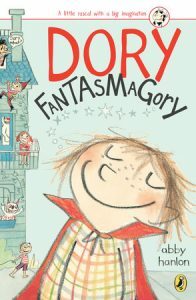 Dory is the longest book we read in this club, so it’s best to feature it towards the end of the year when kids have had more time to learn how to read. I read the part where Dory pretends to be a dog and then we make our own set of dog ears. Kids can decorate them however they’d like. After everyone has their ears, I take the kids through a series of commands and they have have to learn how to be good puppies. Things like jump, sit, lay down, roll over, bark, etc. We end with them eating a snack “puppy style.” This probably sounds weird but trust me they will love it. After reading the entire book together we play a memory game. I gathered a bunch of “emergency” items (whistle, paperclip, tape, etc.) and put them on a tray. The kids get to look at the tray for 2 minutes. Then I take it away and they see how many items they can remember. You can also take away an item and see if they can work together to figure it out. After, we created a parachute for Scaredy Squirrel. We used plastic bags, cups, yarn, and tape. Trace a circle on the plastic bag, cut it out, cut out 4 holes in it and reinforce with tape. Then tie yarn through each hole and connect it to the cup with tape. I had pom pom balls the kids could fill their cups with to see if they would work. Lots of experimenting with this one! These activities take us right up to the full hour and caregivers are encouraged to come in and talk to their child about the book and what we made each week. One thing I’d like to add is some sort of take-home activity or discussion guide for the caregivers to encourage them to read the book at home with their little one. I just don’t want it to feel like homework, you know? The kids take the book home and bring it back the next month. Do you run any sort of book club for this age group? I would love to swap ideas! Please leave a comment below with any tips or tricks you have. I love this! I used to help my local middle school librarian with her book club, and I’ve been interested in trying some non-traditional type of book club, and just kinda waiting for the opportunity. We also offer a Tween Book Club, but this one has taken off way better. It’s fun and it supports those still emerging literacy skills of our early elementary kids. Highly recommend! This is great! I look forward to more school age programs! I do a monthly outreach where I read to first through fourth graders (all together). I find it a bit trickier to find books that will be appealing to that range of ages, so I would love to see a list of your recommendations! This looks great, I may just try it out here! Do you read the books aloud or do you have the children read? For the most part I read the books aloud at a very slow pace. It depends on the group though. If I’ve got more kids in grade 2 who are able to read then we will read the picture books together. For the chapter books though I usually read and have them follow along. The picture books give more opportunity for the kids to read aloud and for us to notice things about writing – the spelling, sound effects, words in bold, that kind of thing. You can also have each child read one page and go in a circle. I usually always have at least a few kindergarten students who have very low levels of literacy though and are still figuring out letters. Whatever works for your group! This sounds so fun! Thank you for sharing about the general program as well as specific activities you did with each book. How do you choose which books you will read together next? My library has special book club sets reserved for programs like this that I can choose from. I try to choose books that are fun and appeal to this age group. Sometimes I will ask what the kids like to read about but I can’t always guarantee I’ll be able to scrounge up enough copies of those ones. I also keep my eye out for great new beginning chapter books that I can ask my library to order for this program. I love my Beginning Reader Book Club! I get money from our Friends (so thankful!) so we buy a copy of an ER book each month that the kids can pick up and read ahead of time, and then get to keep. My structure is very similar to yours, we begin by making nametags and playing a game of ‘Would you rather’ which I try to make as ridiculous as possible every month. Then we discuss the book, trying to cover themes, words that were tricky, and having the kids show me their favorite illustration. I read a related book out loud, and we do a craft! It is a great way to transition kids from storytime to other library activities, and is also just adorable. We would like to use a program like this in our library. Can you give me an idea of what your cost was to start this program, presuming we have about 10 children? I would like to write a grant to get this program started. Great ideas and thank you for sharing. Hi Sue, that’s so great to hear! So unfortunately I can’t give a good estimate for cost because all of the book club sets and craft supplies were already existing at my library. In fact, this program has been running for a few years and I only recently took it over at my branch. But here are some things to consider when gauging a budget: 1. costs of books (if you have 10 kids I would get at least 15 copies of the book because some will get lost). I run 9 sessions from September – May so that would be 135 books per year. If you want to run the program for multiple years you may want to create a set of 20 book club sets as a base, but this will also depend on how many branches in your system will host the program. 2. Cost of program supplies. I try to use lots of existing craft supplies or recyclable materials, but you’ll want a core supply for the entire year. This will totally depend on what activities you do each month. I’d suggest $200 – 500 for the entire year if you are starting from nothing. 3. 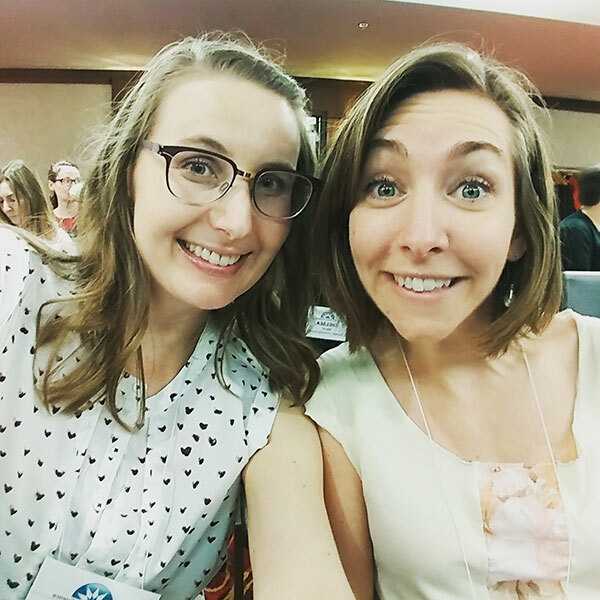 Snacks – I don’t have enough funding to offer a snack but I would love to! That after school time frame especially is a prime opportunity to offer kids a healthy snack during a program. I usually budget $20 per program for snacks if I’m able to get them. That’s all I can think of. I think the books and time investment of making the book club sets is the biggest cost for this type of program. I wish you all the best! I love Early Readers Book Club! We have a huge range of language levels in my group, so we do the same thing and read the book together at the beginning of each session, I find it also really helps with the conversations when the book is so fresh in everyone’s minds! We definitely do a lot of drawing, too – I did a session where I introduced a wordless picture book, and we interpreted it together, which kind of blew some of their minds. It really helped reassure some of them, I think – even if you don’t feel confident about your actual printing skills, you can still be a great storyteller! It’s sad too, sometimes – some kids come into the program already convinced that they’re “no good” at reading or “so bad” at writing, even at such a young age, and it can be a bit of a process to work through those doubts and start building some confidence. Everyone can be a reader, we sometimes just come at reading in a different way, at a different pace, or with the help of different formats! 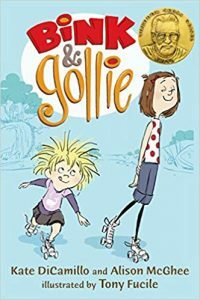 Lindsey, I started a similar book club last summer featuring picture books for older kids (K-2). It was a huge hit. We read and discussed the book together, and then worked on a related science, writing or art activity. I will repeat the concept this summer and I would love to talk more about ideas! Yes, Claudia! I would love to swap ideas with you. Feel free to email me. Incorporating more science activities into my program would be great for the kids who are still learning to read.